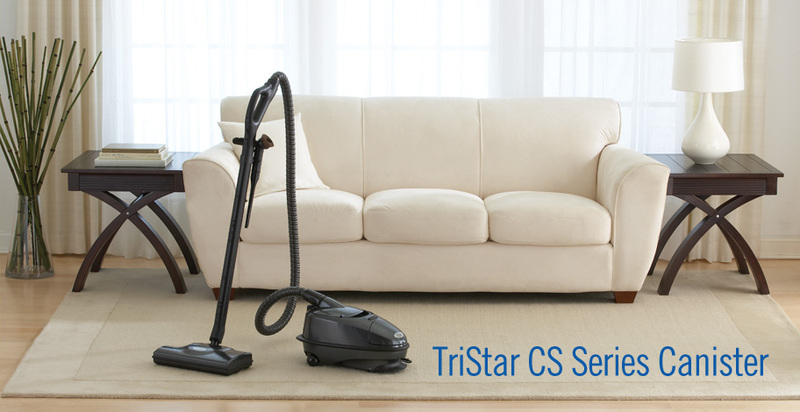 Known for convenience, durability and unrivaled cleaning performance, the TriStar CS Series is engineered to make your cleaning easier and more effective. The CS Series provides consistent power, featuring revolutionary cyclonic action. 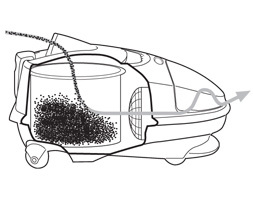 This unique airflow system separates the dirt from the airflow, thus improving the cleaning performance and extending the life of the bag and motor. Conventional vacuums tend to lose power because the airflow, which is essential for cleaning, is blocked. In the typical vacuum, once dirt and debris enter the bag, the air must be pulled through the dirt, blocking the airflow and causing the machine to lose power. Because of cyclonic action, the powerful motor of the TriStar CS Series directs incoming air over the dirt. Even when the bag is full, the airflow and suction power are unaffected. There is no appreciable loss in power because air passes over the dirt and debris in the bag rather than through it.